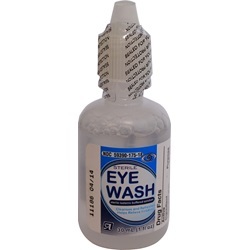 Sterile eye wash solution in 1 oz. squeeze bottle with screw top cleanses and refreshes while relieving irritation. Can be used to flush the eye. Manufactured by Altaire. NDC Number: 59390-175-18. Comes as singles.